We offer a range of meditation techniques to help you to relax and rejuvenate, whether you are here for a yoga retreat, or detox and weight loss retreat. Most mornings start with a 30 minute meditation session, this is quiet time for you to practice meditation as part of a group. 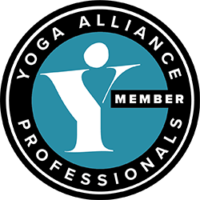 You are welcome to have your own practice or follow the technique we offer each day. We offer a mindfulness workshop, to delve deeper into mindfulness, and sometimes the power of silence workshop. On an evening you can come to a 60minute Yoga nidra session or a guided visualisation, to help you to relax, reconnect and find health and balance. Meditation has many health benefits. The medical community has shown that meditation practice can help to relieve and reduce muscle tension, improve oxygen consumption levels, stabilise blood pressure and rates of respiration. Mindfulness is increasing in popularity around the world, and it is used by many people to relieve stress. Meditation has also been reported to help people to more effectively manage troublesome mood swings and even destructive patterns of behaviour. Meditation practice involves developing your powers of concentration. There are many types of meditation (or meditation techniques) to choose from, and at La Crisalida Retreats we prefer to work from those which aim to bring you into the present moment and will relax the mind through detached observation techniques. The impact of meditation is different for everyone, which makes sense because meditation focuses on your own personal experience rather than anyone else. This is why meditation is often stated as a very personal journey. Although meditation is actually hard work, if you persevere you are likely to experience the type of benefits reported such as clearer, more decisive thinking and improved powers of concentration as well as enhancing your overall levels of well-being. I’ve not tried meditation before, what does it involve? In the morning meditation sessions we offer different types of meditation techniques for you to try across the week. We start by finding a comfortable seated position (you don´t have to sit cross legged if this is painful for you, we have chairs available or you can rest with your back supported by the wall). We will explain the technique to you – each technique will focus your attention on something specific. For example, you might focus on the breath wherever you feel it most strongly (around the nose, across the upper lip, in the throat or lungs for example). You then get time to practice this technique, in a silent room with other retreat guests, so that you experience what meditation is. Our instructors are around to help with tips or answer any questions you might have after the session. What is a Yoga Nidra? Yoga Nidra is great for helping to reduce stress and allow your body to truly relax, bringing total relaxation for the body, mind and spirit. It is practiced lying down, in a comfortable and warm position. This is a guided process, led by one of our mentors, and takes around 60 minutes. We offer a few Yoga Nidras; each one includes elements of body awareness, breath awareness, emotional awareness, visualisation and a waking up. At the start, we may set an intention and we may revisit this intention at the end. The idea is that your body is asleep (truly relaxed) whilst you are fully conscious, aware – some people say it is the state between awake and asleep. This is a deeply restorative place to rest and it is also a place where you can create positive change for yourself. You can leave straight from your Yoga Nidra and float off to bed for a wonderful nights sleep. Mindfulness has become a buzzword in recent years and can have different meanings depending upon who you speak to or follow. We develop mindfulness by being present in our body, moving consciously through our day and through our life. In the mindfulness workshop we discuss attitudes of mindfulness. You experience different examples of how you might practice mindfulness in your daily life, like how to let go of mind chatter and how to develop mindful eating. Read more about mindfulness in our series of articles on the blog page. What is the benefit of practicing meditation with a group? By meditating in a group you will be joining like-minded people and this brings many benefits. Some people who come to La Crisalida Retreats are new to meditation, others have been practicing for 30 years! So there is a range of experience in each class. There is plenty of time during each day to speak to others, and you can share and learn from their experience. Group meditation can help to develop a habit – sometimes things are easier to start or to continue when you do it with someone. Knowing that others are practicing can act as inspiration for you to attend a session in the first place! There is also a power in sharing the same silence with others. There have been a number of published scientific studies that show a type of ripple effect – that peace can deepen when people come together as a group with the purpose of meditation and self-awareness. I have my own meditation practice already, where and when can I practice? If you already have a regular meditation practice you are welcome to continue your practice during the morning meditation sessions, so long as your practice is silent and does not disturb the other meditators. You are also welcome to use the activity room anytime a class is not scheduled, or find space outside, on the yoga terrace, or in one of the quiet areas. You can of course also use your bedroom, if you have your own space. Read more about meditation at La Crisalida by reading articles on our blog page.